Dr. Harrison’s new insights seem to center on being nice to children – hers and others’ who end up on LDS missions. 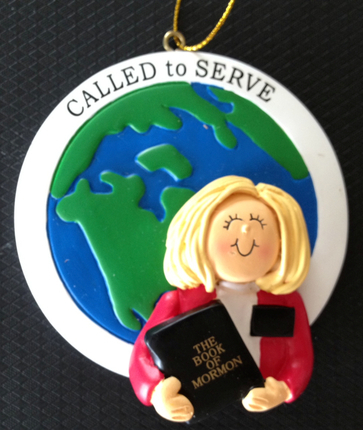 For that’s what Mormon missionaries are: they are “practically babies,” she says. Mette the mom paints a plaintive picture for her readers. Mormon missionaries are but children living in a sad and difficult situation. They’re babies; they have looked forward to this mission their whole lives; often they don’t have enough money to even eat; they have to work all the time and don’t get to have any fun; they’re lonely and homesick; they know very little about Mormonism other than what they’ve been told in minimal training, and they don’t want to talk about any other elements of their faith or church; many of these kids don’t even want to be on missions, but go due to cultural pressures. Very sad. This is definitely Mette the mom talking. She has forgotten the point of a Mormon mission and views the whole thing more like a charm school. In her eyes, it’s not about bringing people into the “one true church”; instead, it’s about teaching Mormon kids self-confidence and poise. It’s making friends and having an “experience” that sticks with them throughout their lives – maybe like other kids who spend their summers before college back-packing across Europe. She wants her kids to enjoy the whole thing and have fun. Like I said: I’m a mom. I get it. But as a mom, I have deeper concerns for my kids – there are more important things than having a good time. 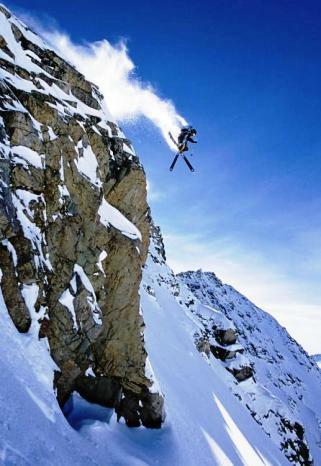 If my child scrimped and saved to achieve her life-long dream of skiing the Swiss Alps, I would definitely hope that she’d have a good time when she finally went on that trip. But even more than that, I’d hope that she would come home safe and sound. If she was in Switzerland, and was about to ski down a slope that ended over a 300-foot cliff, I would want someone to warn her. And not just warn her, but stop her. I would give anything for someone to save my child’s life – even if it interfered with her fun. I’m guessing Mette the mom would, too. Now, Dr. Harrison probably doesn’t understand that the young Mormon missionaries are in real spiritual danger. If she did, she would never suggest that those who truly know the narrow way of salvation hide it from these kids in order for them to have a trouble-free mission experience. Mette the mom doesn’t know it, but I do. And many other Christian moms and dads know it, too. For us, we can’t merely offer a smile and words of encouragement while watching these kids ski off a cliff. Because “we are ambassadors for Christ, God making his appeal through us. [So] We implore you on behalf of Christ, be reconciled to God” (2 Corinthians 5:20). Do you see the very real spiritual danger expressed in Paul’s words? There is not a mother alive who would want her child to have a nice, happy, 2-year challenge-free mission – but in the process forfeit her soul (see Matthew 16:26). Mette, as one mom to another, I promise I will do my best to keep these precious children from skiing off a cliff. Though it may get in the way of their fun, I promise I will always–prayerfully and lovingly–strive to help them find that difficult, narrow gate that leads to eternal life (Matthew 7:14). This entry was posted in Friendship, Interaction, and Evangelism, God the Father, Joseph Smith, King Follett Discourse, Mormon Missionaries, Prophets and tagged Church of Jesus Christ of Latter-day Saints, False Prophets, Joseph Smith, Mormon Church, Mormon Missionaries, Nature of God, Polygamy, proselytizing. Bookmark the permalink. I know my response will be strong but quite frankly I don’t care. Pretty harsh, huh? I don’t think so. Have you ever heard about drug dealers who send young kids out on their bikes to deliver their “product”? These children on their bikes don’t know the effects the drugs will have on individuals and the community. They do it because they’ve been recruited to do it and because if caught, are too young to be prosecuted. It may give them some status within their immediate culture. So I’m going to suggest that we treat these young drug suppliers with kindness and compassion, perhaps encouraging them and helping them to have a positive experience in their first job. I don’t care if these young Mormon missionaries are as innocent and pure as the driven snow. The product they are delivering is spiritually toxic. It not only has serious implications for those identified as prey, but it has eternal consequences. While I’m courteous to the MM, I’m very direct, challenging them regarding the information they are presenting. What would have happened if the Baptist Pastor who interacted with Micah Wilder hadn’t explained the differences between the LDS “restored” gospel and the true gospel of Jesus Christ as revealed in the Word of God? I heard Grant Palmer say that 50% of MM go inactive from the LDS church within five years of completing their mission. As Christians it is our obligation to interact in a positive but firm way with the MM. Its as if this lady Mette doesn’t really care about her daughter’s spiritual life. Her line, “I don’t particularly care how many people she converted to Mormonism” really kills me because she’s admitting the mission is not really about saving what they consider lost souls. To her it’s more about the experience than the actual mission of the mission. A big part of this initiation activity to prepare the young men specifically, to come home, get back in college, get married, have kids and serve the organization. Isn’t that the dream of all the young Mormon girls/women; to marry a returning missionary. But what happens when you start running out of men? The “shortage of Mormon men” we’ve heard so much about lately is far worse in Utah than it is in the rest of the nation. We hypothesize that the consequences of declining Mormon majorities in Utah affect men more than women for one simple reason. At age 18 (19 when these data were collected) LDS boys are confronted with the mandate to serve a full-time mission. This is precisely the age when religiosity is at its nadir. In the past, social pressure to serve a mission prompted many young men in Utah with marginal religious commitment to bite the bullet and go. The stigma of failing to serve a mission in some Utah towns was severe, and had serious social consequences. This is well documented in the sociological literature. Now however, the stigma is waning. Non-LDS friends and others who have chosen not to serve missions are more abundant, and provide refuge from disapproval. I would agree that we should be nice to the LDS missionaries. After all, it’s the only christian thing to do. And I also agree that the missionaries are inclined to disregard anything we tell them that doesn’t seem to compliment the Church. May I suggest an alternative approach? Why not invite them in, serve them a lemonade on a hot day or a cup of cocoa on a cold one, and volunteer that you’ve been reading some of the Church’s own literature. Then hand them a printed copy or two (after all, there are always two of them and they are forbidden to use the Internet) of the Church’s published statements on Joseph Smith’s polygamy ( https://www.lds.org/topics/plural-marriage-in-kirtland-and-nauvoo?lang=eng ), or one of the other statements by Church prophets that you find compelling. Give them time to read it, then ask them what they think about it. After that you can politely express your disinterest in their message and send them on their way. Again, it’s the Christian thing to do. Now why would she advise this? She’s telling us not to confront the MM with the truth of what is contained in the history of Mormonism, its founders, leaders and doctrine. It’s sort of like the LDS line, “Oh I knew that a long time ago and it hasn’t effected my testimony one bit.” She’s whistling past the grave yard, in a sense. This idea that it won’t do any good any way to bring this up to the boys and girls is a way of getting folks to NOT engage the MM with actual facts and evidence. Isn’t it ironic? She’s telling us that it isn’t all that important if they make converts anyway and it’s just sort of a time for the kids to come of age. They’re just a bunch of harmless muffin heads who need us to encourage and be nice to them. I’ll make her a deal. They stop telling prospects that the gospel was lost and needed to be restored and quit trying to rope the unsuspecting into their sect, then maybe we can discuss these “be nice to our kids” issues. These fresh faced, sincere, harmless proselytizers of a false gospel are naive con men. They rope people in with their engaging smiles and feel good presentation. They convince people that the emotions they are feeling come from God as a way of confirming that what they say is true. Once someone is looped into the program, they skim off 10% of their income and assign them work related duties to serve the purposes of the corporation. Sorry mam, it’s our duty and obligation to warn the unsuspecting what these kids are peddling and provide the kids themselves with the knowledge of God’s saving grace and pathway to salvation. What this woman wants is for the children MM to be treated well and not be given the old reverse proselytizing. I don’t think she was being honest/accurate in basically saying that the kids have heard it all and won’t be impressed or effected by a Christians attempt to poke holes in Mormonism. Micah Wilder said that one of the Scripture verses the Baptist pastor shared with him was Titus 3:5-7. So Micah Wilder had to face the difference between his attempts to “earn” his reward to what the Bible says. It made him angry. The pastor stopped Micah as he was stomping out the door and said, “Elder Wilder, I encourage you to read the Bible as a child would read it.” Micah took up the challenge and before his mission ended, he was a Christian. Eventually his entire family left the LDS church. Can you see why the woman cited in the article just wants the MM kids given lemonade and cookies? Boy, that was annoying! I didn’t realize there were all of those extra letters in the quote I cited above. Here’s the same thing cleaned up. As a father of a currently serving LDS missionary, I always hope that someone will say something that will help my son to see that the church he serves is completely false. He is a tender-hearted boy and wants to do what is right. But he needs some help to see that the LDS church is not God’s church. I helped to indoctrinate him. I am a former member who also served a mission. People who ridicule him or his religion will not open his mind. 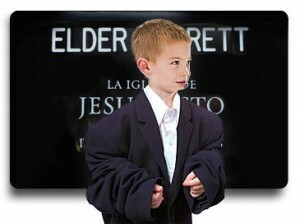 As a side note, he is not the first of my children to go on a mission since I left the LDS church. I do hope he will be the last, but there are other siblings coming up. Their mother is an ultra-mormon, and since we are no longer together, my influence on my children is no longer what it has been. I hope that the kindness of strangers will help all of my children to one day leave; in the meantime, I apologize for having sent out several missionaries and for having been one myself. Welcome . My wife and I will be praying for your son , as well as your family . Hey everyone. Just dropped in to see if there is any new names in here. Im sure this woman would be unhappy with me. I remember when I was leaving this religion I had to meet with the MM 3 times a week. They replaced one of them because of all the questions I was bringing up. I think it might have shook his faith a little. I remember when the Bishop came to my house and brought one of the kids with him. I told him all of the reasons why I would no longer be accepting the church doctrine and no matter what reasons he tried to bring up I had answers for him. He had nothing more that he could say. This church is a fraud and if someone is a true seeker than it really is easy to see how much of a fraud it is just by doing a bit of digging. I can’t even imagine attending anything that has to do with the church now. I wouldn’t be rude to the MM that come to my door but we really wouldn’t have much to discuss. I don’t believe in proselytizing anyone, but I am ready with an answer should anyone ask about my beliefs or religious observance. She is right about these kids not knowing much about what they believe or why they believe it. Mormonism isn’t the only religion that has these problems. Kids who grow up in other religions have the same issues. Most kids learn the traditions of their religion but not the deep understandings of where their religion comes from. I love the lyrics from a song by Matisyahu. But the digging you must do yourself, the digging you must do yourself. I believe understanding the scriptures and religion is the same way. If you don’t know where to dig than you will dig in all the wrong places and never find understanding or fulfillment. But once you are shown how and where to search, treasures are uncovered. Proverbs 25:2 It is the glory of God to conceal a matter, but the honor of Kings to search one out. Hi cattyjane . I hope you are doing well .